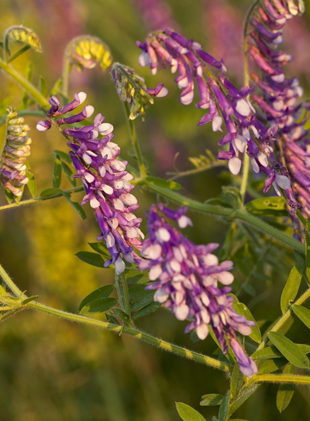 This perennial member of the Pea family has tall, dense spikes of purple, pink, red, white and yellow flowers rising above deep green robust foliage that resemble palm leaves. Native to the Pacific states and the North Eastern areas of North America the plants will bloom for a two month period, from May to July, the second spring from seeding. 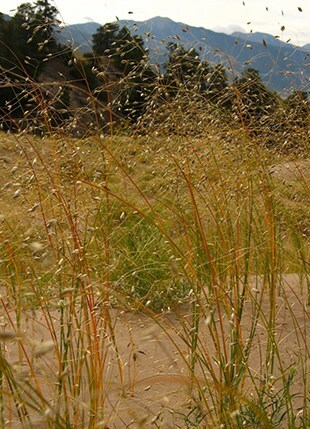 Plant in slightly acidic soil that is well drained. Sandy, rocky soil will allow the tap root to grow well. Nick the hard seed coat or soak overnight before direct planting 1/4 inch deep. Keep the soil moist until the seedling is 3-4 inches tall. No need for fertilization, but lupines like regular irrigation. These are great for wildflower gardens and meadows, but also do well as accents in perennial garden flower beds and make great cut flowers. 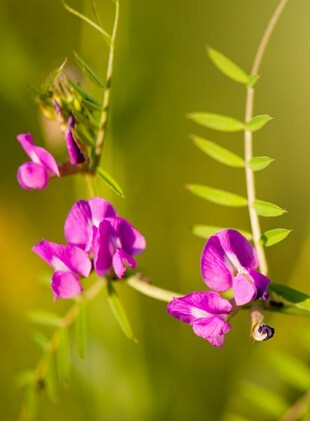 This perennial member of the Pea family has tall, dense spikes of purple, pink, red.purple and white flowers rising above deep green robust foliage that resemble palm leaves. Russell Lupine is native to the Pacific states and the North Eastern areas of North America the plants will bloom for a two month period, from May to July, the second spring from seeding. Plant in slightly acidic soil that is well drained. Sandy, rocky soil will allow the tap root to grow well. Nick the hard seed coat or soak overnight before direct planting 1/4 inch deep. Keep the soil moist until the seedling is 3-4 inches tall. No need for fertilization, but lupines like regular irrigation. These are great for wildflower gardens and meadows, but also do well as accents in perennial garden flower beds and make great cut flowers.